So much to like about this hard to find main floor condo! One of the most private location in community, immediate move-in, well maintained, newer fridge & brand new Whirlpool range/oven, dishwasher & microwave. 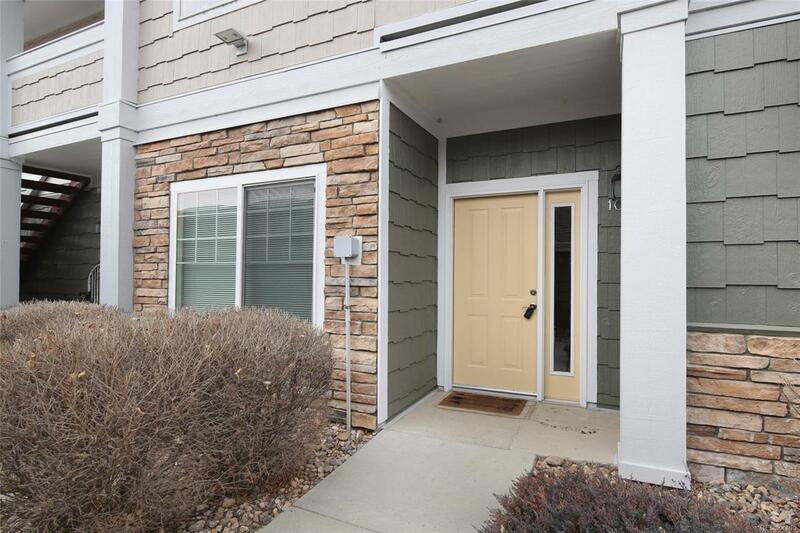 Lakeshore is A+ location close to MCR, I-25, shopping, restaurants, lakes, trails. Unit is located steps from natural area & trail system around beautiful Equalizer Lake. Pool, clubhouse, trash/snow removal, hazard Ins, exterior maintenance & water included in HOA! Don't miss this one.